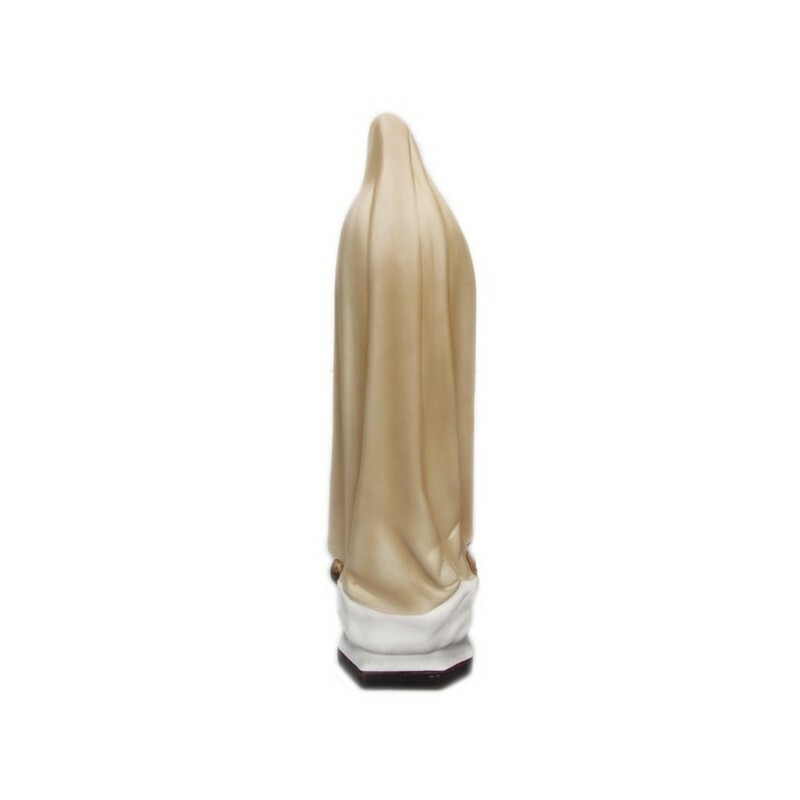 Statue of Our Lady of Fatima, 40 cm. 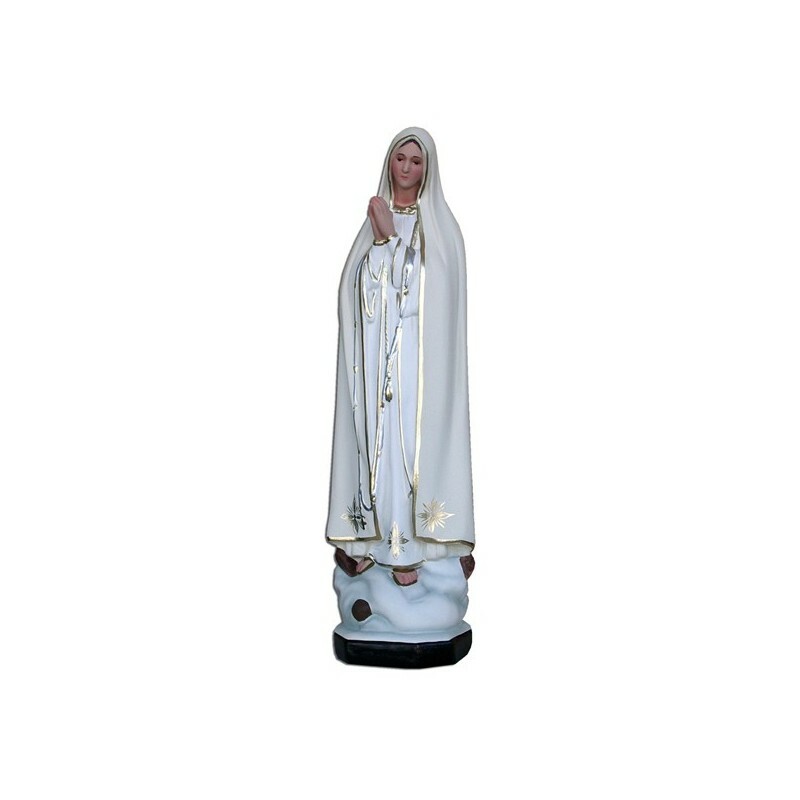 The Virgin of Fatima is one of the most venerated images, thanks to her shrine which is one of the most visitated in the world. The story tells us that in 1917 in Cova di Iria (Portugal), three shepherds had the first vision. According to their tale, on the 13 of May 1917, while they were grazing their herds, they saw a cloud that, clearing, make a lady’s image to appear. 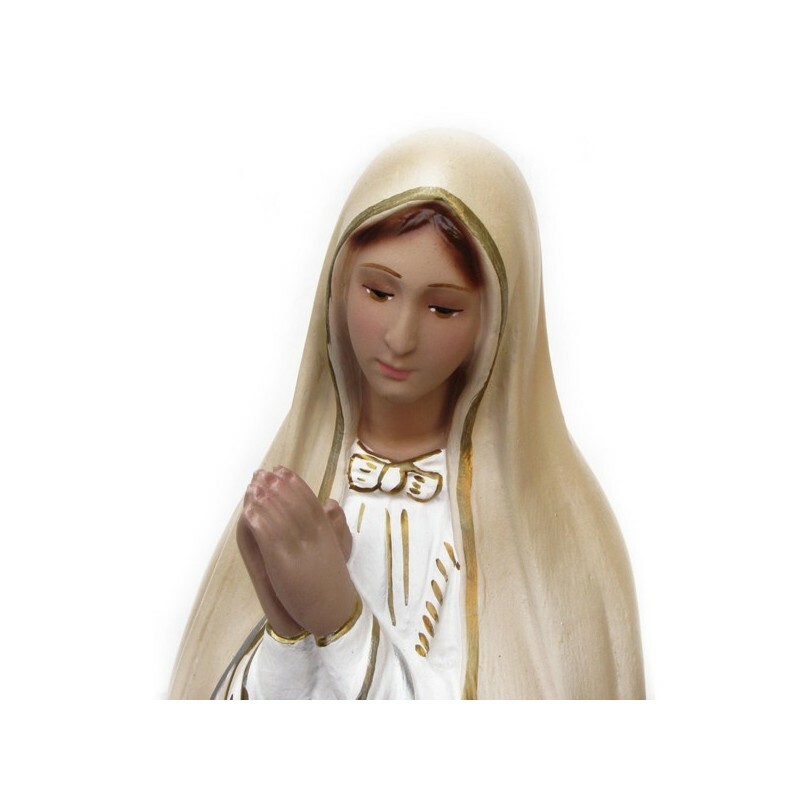 She wore a white clothing and she had a rosary in her hands. They understood she was the Virgin. She talked to them and she gave them a date for the following months. 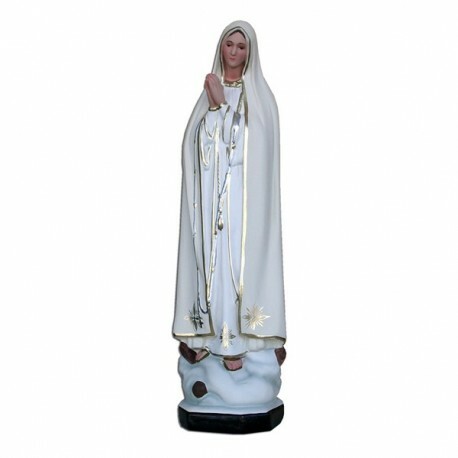 The apparitions were copious and everytime the Virgin revealed them a coming happening. The end of the World War and the danger of an other one. Another announced event was that of the “Miracle of the Sun”, which was watched by thousands of people: the participants narrated that during a heavy shower suddenly it stopped raining , the sky rent and a bright sun appeared. It changed colour and it enlarged so much that it seemed to fall. The Virgin’s revelations are called “The Fatima’s Misteries” because they may contain revelations about coming events wich could shock the human certainties. The Virgin of Fatima’s shrine was built in the place where the first apparition happened and it is the destination of million of pilgrims. The classical image of the Virgin is represented with a white clothing, joint hands, while in the second apparition she is described with a heart on the chest and a crown with nettles.